How do I get started at Superpoker? You can get started by downloading the free software application that you will find throughout the website. Once you have completed the download process you should see the Superpoker icon on the desktop of your computer. Double-click on this icon to launch the software and you will be taken to the lobby screen where the games and tables are listed. Can I test drive your poker room? Yes, there is no charge for downloading our software. We offer play money tables where you can try out our poker room at no cost. You can learn more about our poker room on this web site. buy generic or brand clomid or amoxil online brand amoxil clomid levitra online without prescription amoxil drug monograph / online without a How do I create an account at Superpoker? To create your new Superpoker account, please select the “My Account” tab on the top of the Lobby screen. The login screen will then be displayed with a “Sign Up Now!” button. Click on this button and complete the required information fields in order to create your new account. Can I change my nick name? At Superpoker, we allow players the ability to change their Player ID (name appearing at the poker tables) every 7 days. To do this, please visit the ‘My Account’ tab when logged on to the Superpoker software. Now that I’ve registered, how do I pick a table? From the top of the Superpoker lobby screen select either the ‘Ring Games’ or ‘Tournaments’ button. If you choose the “Ring Games” tab you will see the games we offer, a list of tables for each game type, along with the characteristics of each table (real/play chips, stakes, limit/pot limit/no limit, etc.). Select the table you want to join and click on the “Go to Table” button, or double-click on the table. The tournaments tab will show you all the scheduled tourneys including free rolls, special events and sit & Go’s. The table you selected opens in a separate window. Sit down by clicking on any open seat. If there are no available seats, you should join the waiting list. I want to change my seat, why can’t I? To ensure a fair and equitable game, we cannot allow you to change your seat while seated at a table. Of course, you do have the option of leaving your seat and returning to the table, but you will be at the end of any waiting list and will have to repost blinds as would any new arrival. We have designed the waiting list to allow you to wait for a specific table, or any table that matches the criteria of the table you highlighted. You may join a waiting list by clicking the “Wait List” button on any table. Are there restrictions on how many chips I need to sit down? We require that you sit down with ten times the higher stakes amount. For example, to sit at a 10/20 table, you must sit with at least 200 chips for pot limit and no limit tables, and for tournaments there are different buy-in rules. Will I need to go to www.superpoker.com each time I want to play? 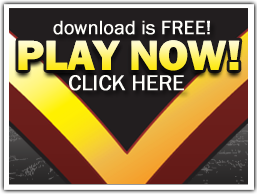 If you have already downloaded the software on your computer and have the Superpoker icon on your desktop, you will not need to return to the website. Just click on the Superpoker icon on your desktop and you will automatically be connected to the game server so you can start playing. I am not being able to log in my account as I keep receiving a message that says “unable to validate password”. What can the problem be? Please note that your account password is case-sensitive. Entering an incorrect password can often result in an ‘unable to validate password’ code. Please check to ensure your Caps Lock is off. If your troubles persist, select the ‘forgot password’ button and a new password will be issued to the e-mail address registered on your Superpoker account. online canadian pharmacy store! zoloft price malaysia . approved pharmacy, buy zoloft where. How do I protect my Superpoker Account? Do not leave the software open on a computer where others have access. Keep your account information in a safe place where others cannot access it. As a precaution, we recommend that you change your password on a regular basis. Can I have more than one account at Superpoker? Each player is only permitted one account. Please note that Superpoker allows you the ability to change your Poker Nickname every 7 days at your discretion. If you change your player name, your past tournament results will not be automatically updated on external leaderboards. Your poker nickname can be changed every 7 days at your discretion. Launch poker software and click “My Account”. To the right of your Poker Nickname, click “Edit”. Input your new Nickname (5 character min) and submit. If your new nickname is deemed inappropriate, you will receive an email from our Support team to change your name immediately.